 Real time strategy meets RPGs and tower defence games in this epic adventure. Brace yourself for war and gather the right heroes to protect your kingdom and defeat your enemies! 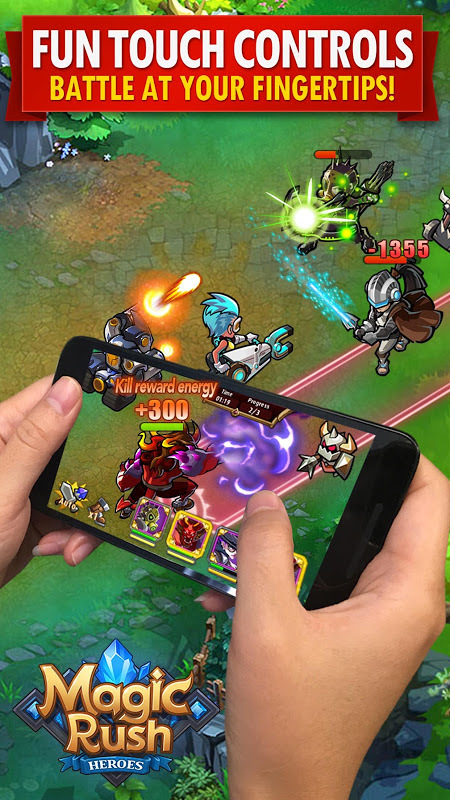 Magic Rush: Heroes is the perfect game for those who love strategy and adventure games, which combines skill-aiming controls and a real time PvP Ladder Tourney mode, thus making sure you will never get bored. 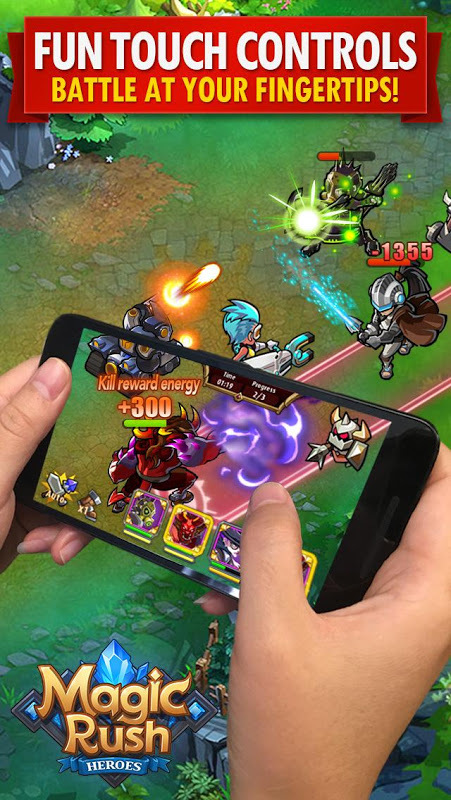 We know that gaming is better when shared, so enjoy the multiplayer mode with World Map battles, Tower Defence, among others and get your friends involved! There are multiple features for your to check out and master, all gathered in a single game that will keep you entertained for hours. Use Skill-Aiming to summon attacks, target your enemies and choose your direction when casting skills. By using the game’s intuitive controls you will be able to attack to stun, silence, knock airborne, heal and stop your enemies. 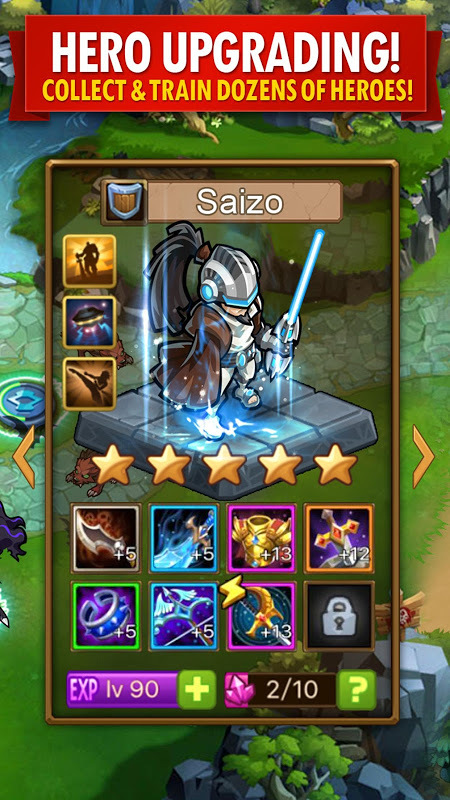 Magic Rush: Heroes allows you to play as different hero types and to unlock heroes with different skills so you can choose the one that better suits your needs at the time. 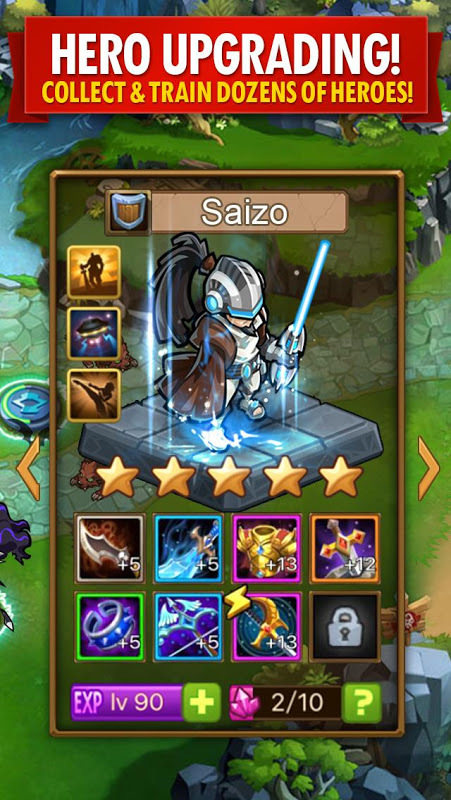 You can also upgrade your equipment and get yourself ready to win by enhancing and mastering every kind of weapon. The gameplay is very easy and intuitive to understand as you have to grant your victory by drawing out a strategy do keep your enemies out, which means that your battle plan is key. 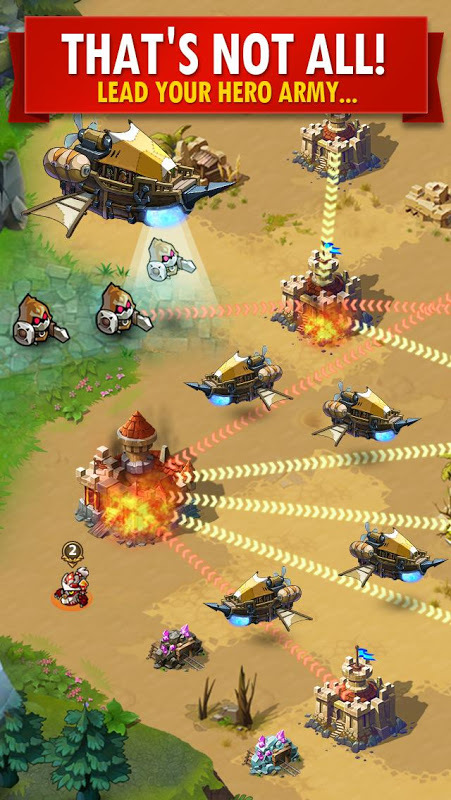 You will take part in combat challenges where you can build your tower and upgrade your equipment. Join forces with players from across the globe and win the war together by creating alliances and defeating common enemies. To see all features and possibilities, download Magic Rush: Heroes now and start winning! 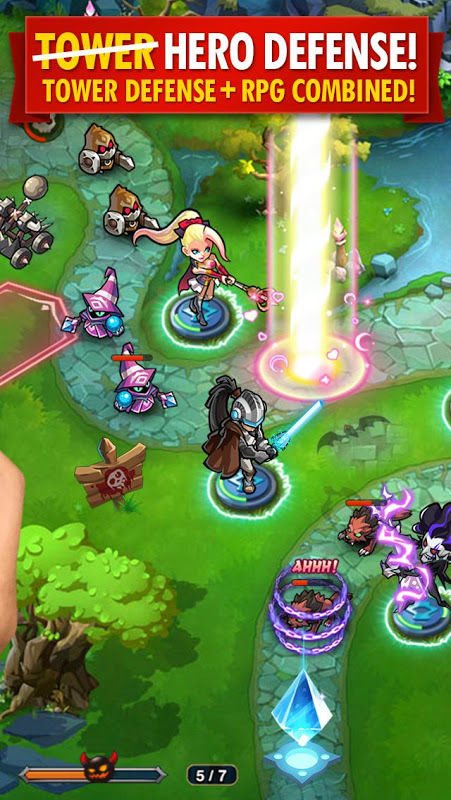  Is Magic Rush: Heroes yours? Claim it!